Vision Realty Windsor Inc. (Brokerage) is always looking for new ways of staying ahead and providing their clients the best value and results. 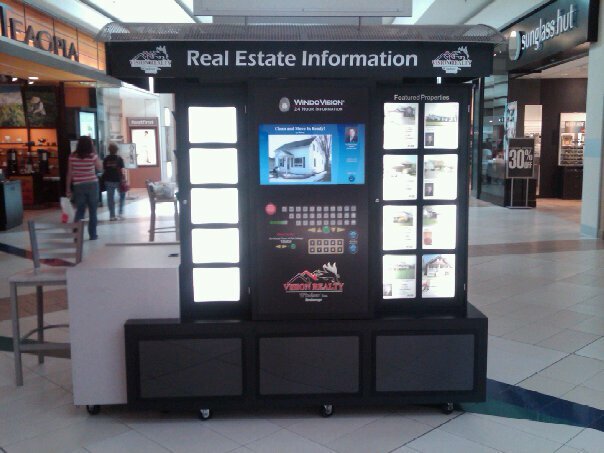 On June 7th, they launched an innovative and interactive housing-market kiosk at Devonshire Mall. This kiosk will allow mall-goers the ability to view listings on a touch-point screen as well as additional information such as images, maps, and listing details. The kiosk will also provide access to news, trends on the local real estate market, and the Vision team of professionals. The kiosk will be available and running during Devonshire Mall’s business hours. “This exciting new technology that we are using at Vision Realty is a powerful example of what can happen when you are part of a great team.” says Darin Schiller, Sales Representative at Vision Realty.